A certain amount of conflict is a natural part of interpersonal relationships, and the workplace is no exception. There is no magic bullet to prevent conflict, but it can be minimized with proactive leadership and a healthy business culture. Unfortunately, because it is unavoidable, many people accept it as an “occupational hazard” and neglect to realize just how destructive it can be. The less obvious effects of conflict impact not only the daily atmosphere, but also things such as productivity, communication and job satisfaction. Ultimately, these things all take a toll on the bottom line. Co-workers might refuse to work with one another – overtly or covertly – creating a destructive dynamic that poisons the well for everyone. Employees may feel they need to choose sides, turning “teamwork” into an unhealthy and ineffective competition. Conflict creates a stressful work environment; employees who feel stressed out are more likely to make errors, which can lead to increased accidents. How does this translate to the bottom line? According to an article on Entrepreneur.com (see below), U.S. employees spend almost 3 hours per week dealing with conflict, which amounts to a whopping $359 billion (billion!) in paid hours. Now THAT’s an economic impact! Here’s another example from the article, based on average hourly earnings of $17.95: If a worker uses five sick days a year to avoid conflict, that’s a direct cost of over $700 to your business…not to mention the cost of covering the employee’s missed work (e.g., overtime pay for another worker or hiring a temporary employee). Multiply that by 50 workers, or even 10, and you can immediately see the kind of money drain conflict creates. That kind of hit to company revenue is something no business, large or small, can afford. The takeaway? 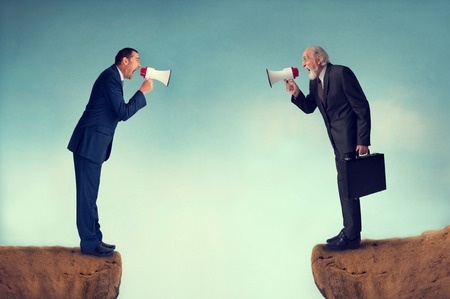 Although conflict is normal, it’s critical for business owners and leaders to teach their employees how to better handle conflict in the workplace. Emotional Intelligence is a skill that all employees can develop and use to respond to any confrontation in a healthy manner. Understanding that one can usually succesfully confront an issue. Confronting a person usually leads to conflict. Learning to respect fellow co-workers by seeking win-win resolutions is key to overcoming the devastating effects of conflict at the office. In the end, helping employees developing skills that will enable them to conduct themselves with emotionally intelligent behaviors will reduce the wasted time and energy that costs companies real money over time.